I'm doing my first link-up. Like it's 2009. I'm running a little behind. 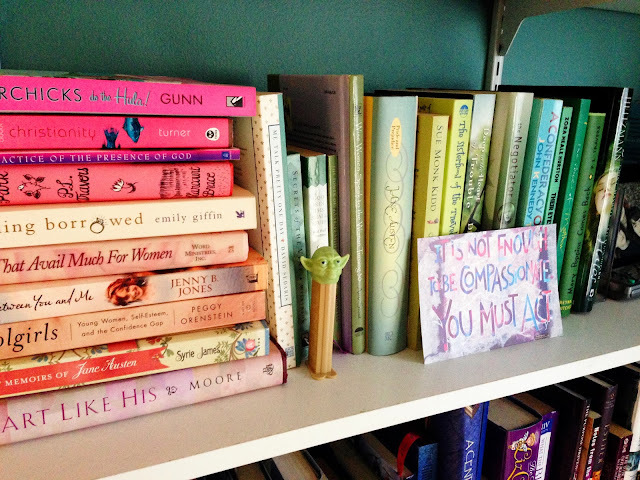 Anne from Modern Mrs. Darcy asked her readers to pull back the curtain on their bookshelves. I could not be prouder of any corner of my home more than these shelves so it was easy to commit to this gang-related writing. This is how my clothes and shoes are organized. Even my cupcake sprinkles are arranged by color. 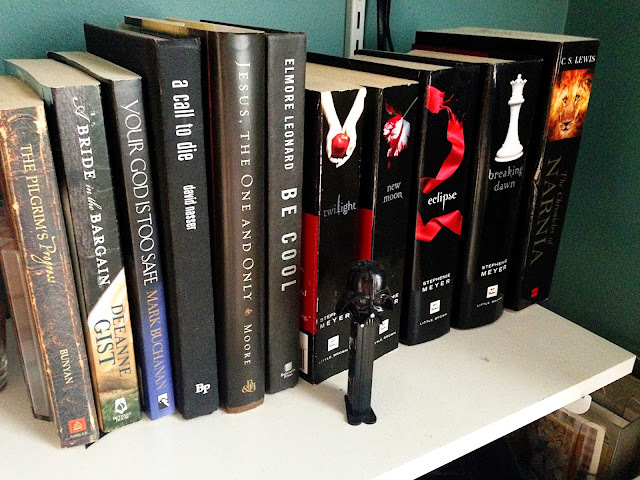 So it made sense in my head that the books should follow suit. Yes, I have John Ortberg and Jimmy Carter mixed in with Nicholas Sparks, Star Wars' Timothy Zahn, and Mary Poppins' P.L. Travers. My go-to baby gift is always library books with custom bookplate labels to match the nursery. Silverstein's Where The Sidewalk Ends is always included. This brown section also includes my favorite Jane Austen novel Persuasion. 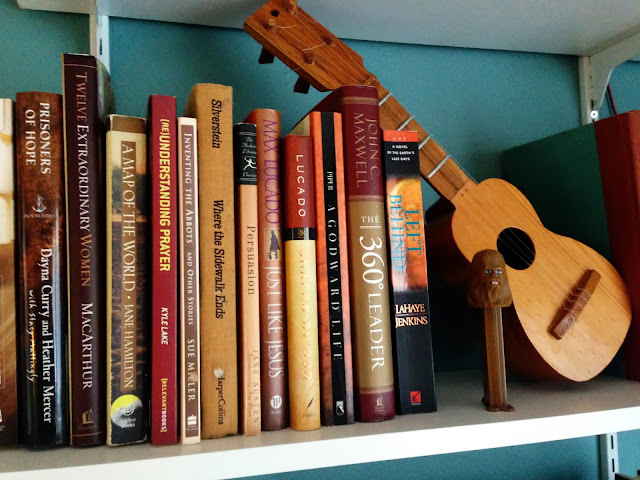 Yoda keeps careful watch over Beth Moore, David Sedaris, Zora Neale Hurston, and Brother Lawrence. 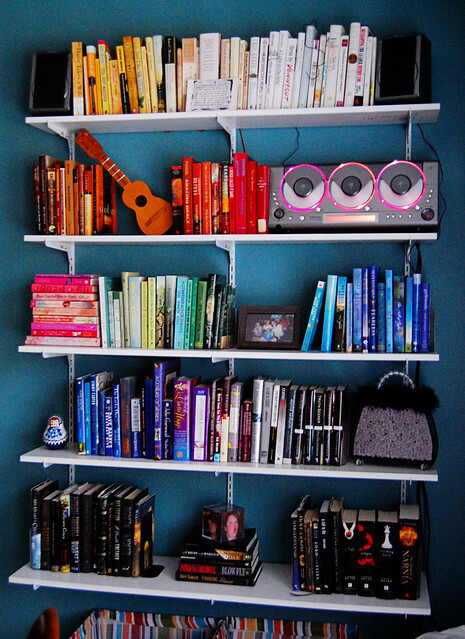 Every bookshelf needs more than books. 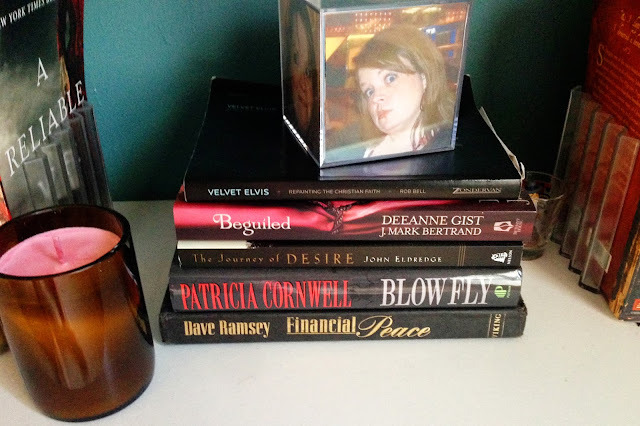 A candle poured into a recycled wine bottle and a "Guess-Jamie's Emotions" game created by my friend Caryann. I'm confident most libraries would sandwich the Twilight series between Elmore Leonard and C.S. Lewis if given a choice. 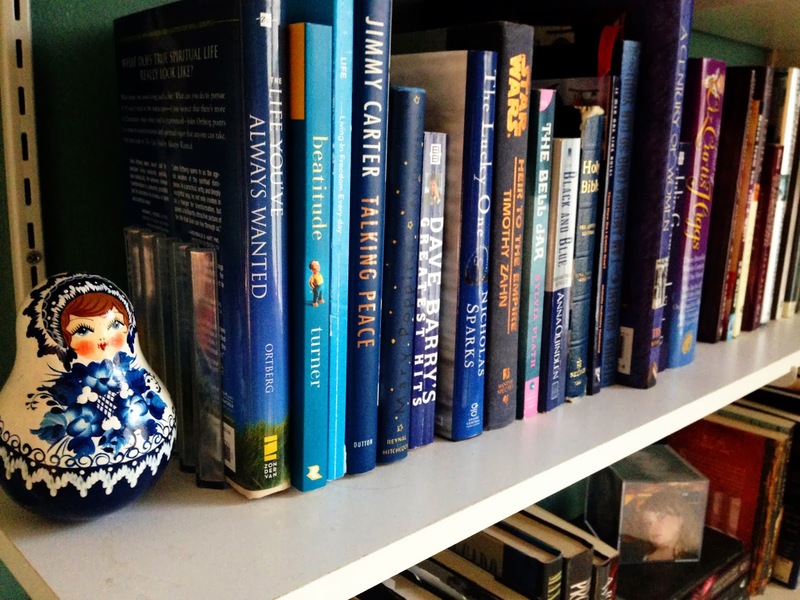 Are you a shelf person or an e-reader or both? What's the best book you've read this year?